The Simca 8 was a family car built by Simca in France between 1937 and 1951. It was offered in a variety of body styles and two engines were offered, one before 1949 and a slightly larger one after 1949. This 1949 car originally featured a race-prepped version of the earlier, 1.1-liter straight-four. It was originally a road car, but was transformed into a racing barquette by a racing driver in 1950. The body was built in aluminium by Motto, an Italian coachbuilder. Once race-ready, the owner promptly registered it for the road! 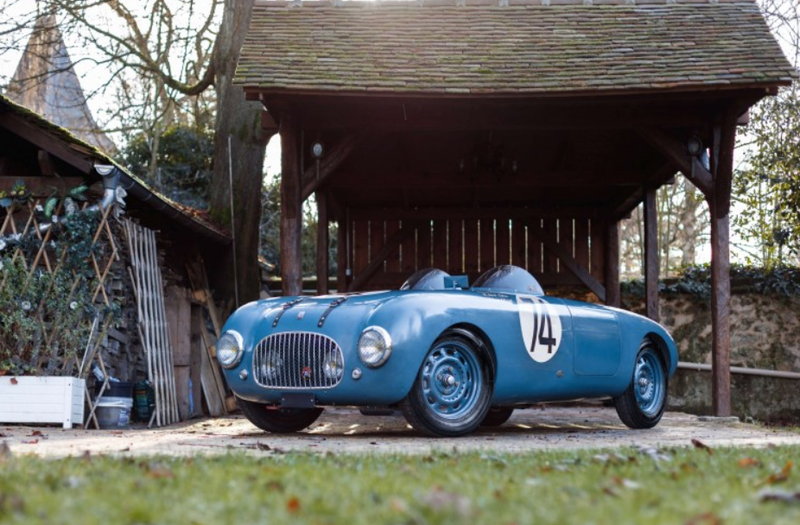 It was entered for the 1951 24 Hours of Le Mans but never showed up, though it did compete in some other French sports car races in the early 1950s. Discovered again after 2000, it was restored and the engine was redone and enlarged to 1.2-liters. It’s just destined for the historic circuit with its new owner. It’ll likely bring between $275,000-$335,000. Click here for more info. Here’s my pick of these four. The Chenard & Walcker Y8 was introduced at the 1927 Paris Motor Show and was built through 1930. It’s powered by a 1.5-liter straight-four and it’s called a “Tank.” Chenard & Walcker were famous for their tanks, which were kind of squared off yet aerodynamic cars that were mainly destined for the track. Bugatti also built some racing “tanks” around this era as well. 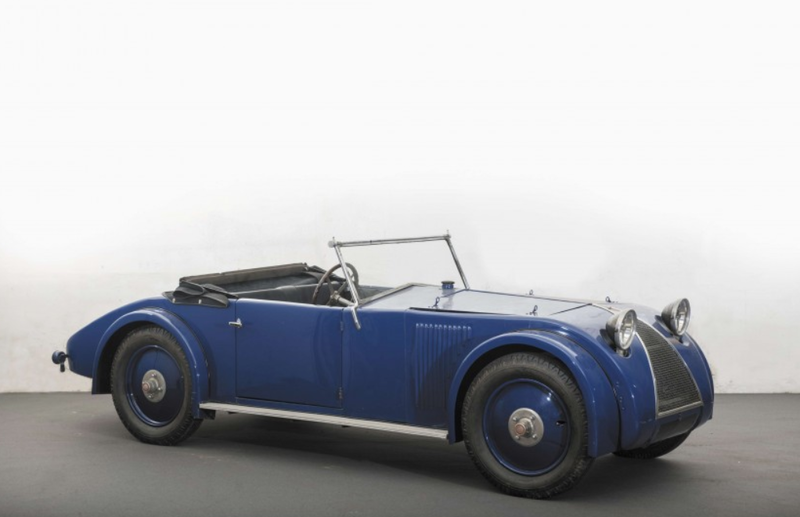 This is a two-seat convertible and it probably doesn’t have racing history, but plenty Chenard tanks saw track action. It’s been in collections for decades and is largely original. No one knows how many of these were built, but there aren’t that many around. This one should bring between $85,000-$160,000. Click here for more info. When Rene Bonnet left Deutsch-Bonnet in 1961, he set up shop building cars under his own name. His first new model was the Djet and what we have here is a racing version of the road car. It’s powered by a Renault-Gordini 1.1-liter straight-four and the body is fiberglass. 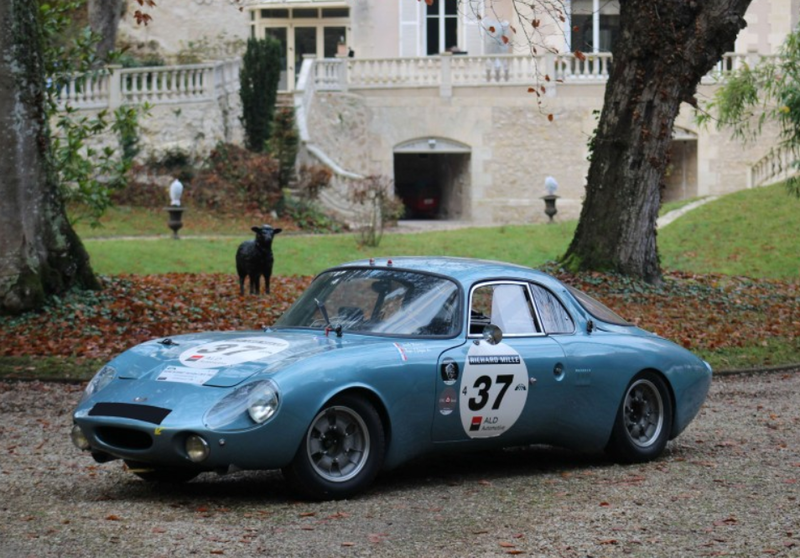 This car was raced at the 1963 24 Hours of Le Mans with Bruno Basini and Robert Bouharde behind the wheel. It finished the race, but did not complete the minimum distance, ultimately resulting in an official “Not Classified” result, but more realistically they were 14th. The current owner bought the car in 1989 and it was restored, with a 1.3-liter Gordini striaght-four installed in place of the original. Only three of these longtail LM6 Aerodjets were built and this is the nicest, most original one left. It should sell for between $300,000-$425,000. Click here for more info. I’m just going to go ahead and say it: this looks like one of those tin toys that kids played with in the 1950s. In reality, it started life as as one of two custom-built Guépard race cars that were built in 1952 and 1953. Both competed in a race in 1954 and this one crashed. The owner took it and while repairing it, decided to turn it into a World Speed Record car. Designed by Marcel Riffard, it’s a sleek, Renault-powered streamliner with a body by Heuliez. The engine is a 750cc four-cylinder and it’s unknown if it ever attempted any records, but it did do a speed run in 1998 after decades in a private collection. It’s a unique car and should bring between $18,000-$30,000. Click here for more info and here for more from this sale. 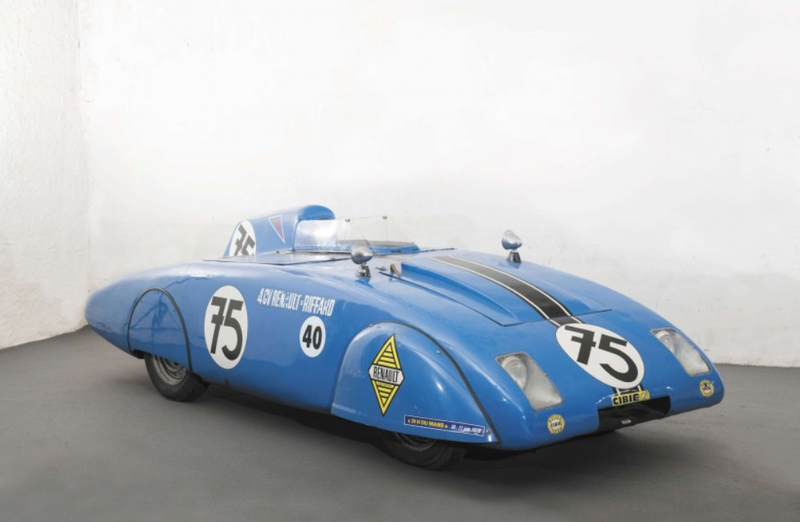 This entry was posted in Uncategorized and tagged 1500, 1930, 1949, 1963, aerodjet, artcurial, auctions, barquette, cars, chenard et walcker, classic cars, huit, lm6, motto, race cars, rene bonnet, simca, tank, type y8 by classiccarweekly. Bookmark the permalink.